Located 1 mile west of Halsey. Take State Spur 86B off of NE Hwy 2 and drive south across the Middle Loup River. The forest office is located just to the left (east) of the entrance to the forest after you cross the river. The forest consists of more than 90,000 acres with about 22,000 acres of hand-planted trees in the scenic Sandhills. This is the only “Hand-Planted” forest in the World. It’s also home to the Bessey Nursery, the oldest Federal tree nursery, that’s been developed into a source for conservation tree seedlings. Ranchers and farmers across the country use the seedlings to establish windbreaks and wildlife planting as well as a source to re-forest National Forests in the Rocky Mountain Region. This is a wonderful place for relaxation, sightseeing, bird and wildlife watching, hunting, fishing and photography. You can bike, ride horseback (bring your own horse), and there is an 11-mile Dismal River ATV/horseback/hiking trail. 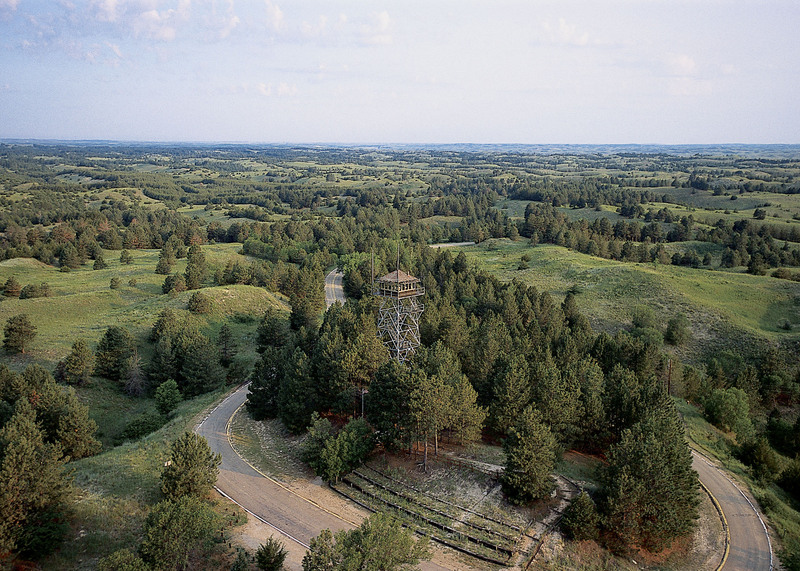 Scott Tower, just 3 miles south of the Bessey Recreation Complex on State Spur 86B, is the only active fire tower in Nebraska and is open for tours upon request. There are also volleyball and horseshoe pits, a game field and 37 campsites with and without electricity and an RV dump station. There is a shower house with flush toilets, as well. Two thirds of these campsites can be reserved through the reservation system. There are two other campgrounds on the forest: Natick Campground with seven sites and Whitetail Campground with 10 sites. These campgrounds offer a more primitive camping experience with no running water or showers and no electrical hook-ups. There are corrals at each of these campgrounds for horseback riding enthusiasts. Whitetail Campground is at the southern end of the ATV/horseback/hiking trail. 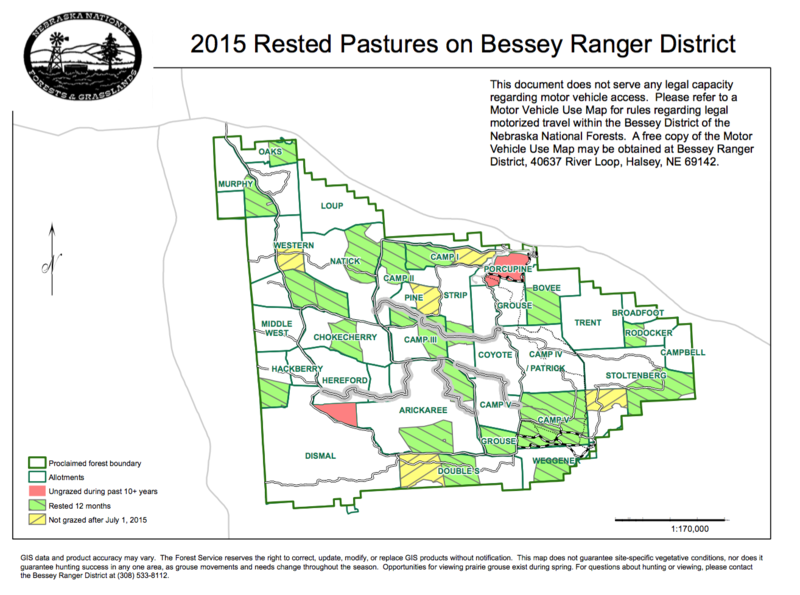 Stop by the Forest office or call 308-533-2257 for more information and maps. Detailedmaps are available and recommended for backcountry travel. Fees are collected for day use and camping. Call for current fees. Camp sites are also available. West of the main office a couple miles in the Nebraska State 4-H Camp. Cabins are available for rental. For information call (308) 533-2224. Many different camps are held here both for youth and adults.